It’s an unshakeable feeling, one I wish I didn’t have and one that I hope is soon to be proven wrong; but I just can’t help but feel like the newest entry to the A Star Wars Story cannon (following on from the great Rogue One) Solo just isn’t going to be very good. Forgoing all the various media reports and behind the scenes drama’s that have plagued the production, through to concerns raised by critics and fans after we’d been made privy to the films collection of trailers, something just seems off about Ron Howard’s space adventure, a feeling most un-Star Wars like. Looking back a few years ago to when Disney first announced their planned Han Solo outing, that would take us back to the early days of the famous smuggler’s career behind the wheel of the Millennium Falcon, his friendship with his hairy companion Chewbacca and his Western-like adventures through the galaxy far far away. Things all seemed exciting enough. 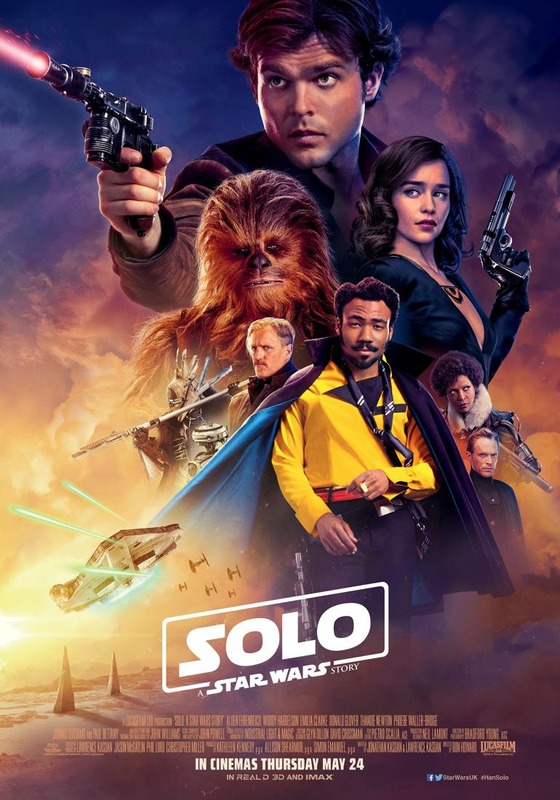 The decision to hire up and coming directors Phil Lord and Christopher Miller was a nice bonus, as was the addition of the hip Donald Glover as a young Lando Calrissian and the ever excellent Woody Harrelson as Han Solo’s mentor Tobias Beckett but since the early day’s, there’s now the inescapable feeling that Solo is doomed before its really had a chance to prove us wrong, damnation that comes outside even of the much publicised departure of its directing duo week’s out from shooting finishing. From all reports Solo is likely to make a lot of money, maybe not the type of money however that Disney has come to expect from their money making machine and you get the feeling that Solo may have a tough time cracking the billion dollar mark at the worldwide box-office, something that will concern Disney’s big wigs no doubt but big box-office isn’t really proving much as Star Wars fans are Star Wars fans, meaning they will likely support most ventures to a franchise that has given them so much good over the year’s (and some really bad – here’s looking at you Jar Jar Binks). What’s really concerning is that Solo just looks a bit bland (again not something you usually associate with the latest Star Wars event), Alden Ehrenreich looks like a tough sell as young Han and that if Solo is the type of mediocre event it is seemingly shaping up to be, it’s a point in the life of Star Wars as it stands where things may start to becoming increasingly less of events and more of a passable experience. 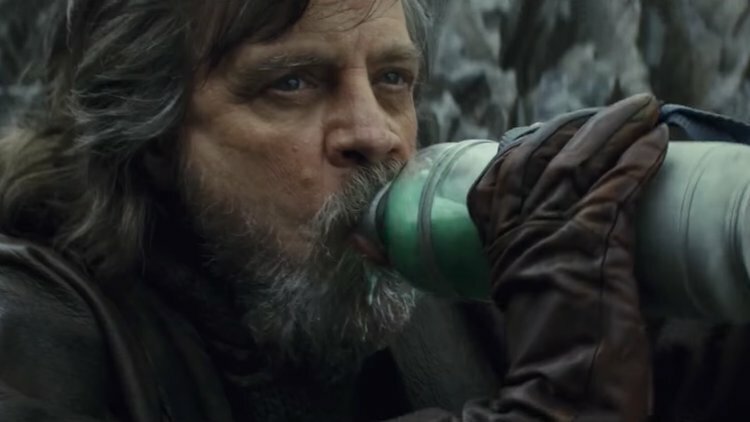 There’s no one out there thinking Disney isn’t going to be milking the Star Wars property like Luke Skywalker milks a strange alien on a lonely island but the concern is that the continued milking will lead to a continual downward spiral of what we’ve come to expect from such a highly original and entertaining series of feature films. With the so-so reception of The Last Jedi paving the way before it and the relatively dubious news of its helmer Rian Johnson taking charge of a new Star Wars saga, we find ourselves and Solo finds itself coming out in a curious and precarious situation where the future of Star Wars as a whole can go one of either ways, one good and one bad. It’s that fear I am holding onto at the moment, as my movie loving spider-senses are sensing a rough landing for Solo, I hope I’m wrong and I hope that the movie’s great, but there’s a disturbance in the force building, a force it seems that can’t be stopped. One can always hope however that Howard’s film is an unexpected reminder to never discount the great cinematic pleasures a Star Wars can provide. I guess we will all find out in a few weeks’ time. Solo hits Australian cinema screens on Thursday May 24th. How do you feel about Solo? Are you excited or feeling uninspired about the film? Let me know in the comments below! For me it isn’t as much a fear that it won’t be any good as it is a complete lack of interest in the film whatsoever. Other than getting hyped from seeing a Star Destroyer in the trailer, I haven’t felt any desperate need or desire to go and watch the film. I’ll probably go and see it, as a big Star Wars fan I don’t see why I wouldn’t, but unlike The Force Awakens, Rogue One and The Last Jedi this will be one that I’ll be happy to wait a week or so to go and watch rather than make sure I get to the pictures asap in the fear of having it ruined. I feel exactly the same way Kieran! Watching the trailers etc just has not got me excited to see this, virtually the complete opposite to how I normally feel about the newest Star Wars venture. I will certainly be seeing it but as you say there is no need to rush. I loved the Last Jedi, I like where they are going with things, I don’t think Jedi had a negative aspect, that being said though I am not liking Solo so far. It is the first SW movie coming out that has gave me second thoughts. Solo though has bothered me and the spouse since we first heard about the issues. It may be lackluster comparatively, but what is bothering me most is Solo. Just watching him in the trailers he doesn’t seem to have that spark, and especially with the rumors of how he is performing means I think he will be the fail factor if there is one. I really hope I am wrong. I will happily eat crow if it rocks. But I suspect you are correct in your outlook. That’s the major concern Lucky. I was talking to some people about the film the other day and we all agreed that Han is just looking off in all the trailers. It’s like his trying to hard to be Harrison Ford without achieving his goal. You almost wish they said to him you don’t need to try be Harrison Ford, just offer your own spin on the younger Solo. At this point, I am just withholding any expectations I have until I see the film. I enjoyed both Rogue One and TLJ. Obviously, the comparisons to Harrison Ford will be there from the get go, but I hope it is as good as the hype is making it out to be. I really want it to be good! I just hope it’s a lot of fun. In one way its good for me that my expectations are fairly low, I just hope its not as my fears are presently, a point where the quality of Star Wars is diminished in favour of quick bucks at the box office. I understand the worries, but I remain optimistic. Ehrenreich definitely has some big shoes to fill, possibly too big for him to handle (but that’s been said about others who ended up surprising everyone), but he has a great supporting cast and a really talented director behind him. I’m also trying to keep in mind that this is really an origin story and that it’s probably purposely showing an unsure Solo that hasn’t fully gained that trademark swagger yet, but will by the end. I hope your right mate! Honestly would love for this to be good! Nothing quite like a great cinema experience with a Star Wars film. Well, it will be interesting to see (especially due to the changing of directors). To me, however, I’m not super excited to see this movie. I mean it is a Star Wars movie (which is a good thing), but I would’ve rather seeing a completely new story with new characters rather than a Hans Solo movie. Still, like I said, I will be interesting to see how this movie ultimately shapes up to be. Right there with you Jason! I am more interested now in films that might create their own destiny in the universe of Star Wars rather than re-doing or re-visiting old stories or characters. I am so intrigued to see where this one ends up being regarded. Han is my favourite character from the original trilogy, but the main reason I was always meh about this prequel is that I just don’t think that *every* character needs to have their past explained and demystified. As poorly executed the prequels were, the story of Anakin Skywalker’s fall to the dark side was at least a compelling idea with tons of dramatic potential. Do I need to know how Han met Chewie and won the Millennium Falcon and became the swaggering Han Solo we meet in A New Hope? No not really. yggdrasille, I am of the same opinion regarding a history of Han, Chewbacca, and Lando. My first question (and a snarky one, at that) was, “How many people’s past do we need to visit to grasp the story line?” I, for one, quite appreciate a little mystery. However, I do hope it will be a good experience. And since I usually try to see movies with lots of special effects on a big screen, I’ll go to the theater. But I won’t be going the first week of release. I can wait. Even if someone ‘spoils’ it for me. I hope its a fun experience! At the very least I just want it to be a fun big screen event. I think your 100% right Yggdrasille! I think Disney have missed the mark with how people feel about Han’s past, I know a lot of people that couldn’t care less about his backstory as what makes him such an intriguing character is the mystery around his past exploits. I honestly wish they would have made a Lando movie instead. 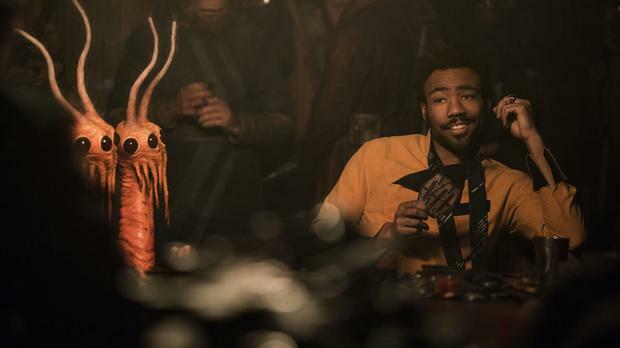 Donald Glover appears to be the highlight of Solo, and it would be nice to see him out front and center in his own Star Wars tale. I get the feeling if people really take to him in this mate we may get just the thing! Donald Glover being the star worldwide he is now I would think Disney would be keen to get him front and centre if the chance arrives. Nice to hear your take on this. I haven’t even watched a trailer; I rarely do. Being a Disney production bothers me a little. I usually enjoy direction by Ron Howard, but have seen a couple of his fall flat for me. I am taking a “We’ll see” attitude. I certainly don’t jump on a bandwagon (of any sort) just because a movie contributes to an already created “universe” which producers/actors/directors feel an obligation to continue. I was concerned when they placed Howard in the chair at the last minute, I don’t think his recent output has been that great, Rush was decent but overall his last decade or so has been very generic and quite a letdown. I share all of your concerns and reading this piece was really refreshing. I love Star Wars, I do. Like many, I’ve seen all the films countless times. I’ve read dozens of the novels. I’ve grown up with it. And I love it as much now as in my youth. I even team-teach a class on the mythic and theologican importance of the films…but I just can’t get excited about this one. In fact, I’ve made the decision not to see it. (I’m not saying I never will…I may catch it on TV at sometime.) I just see nothing in this film to attract me and I won’t buy into it just because it’s called “Star Wars.” With the rate Disney wants to keep churning out content, sooner or later we’ll all start discerning. For me it starts here. Harrison Ford IS Han Solo. 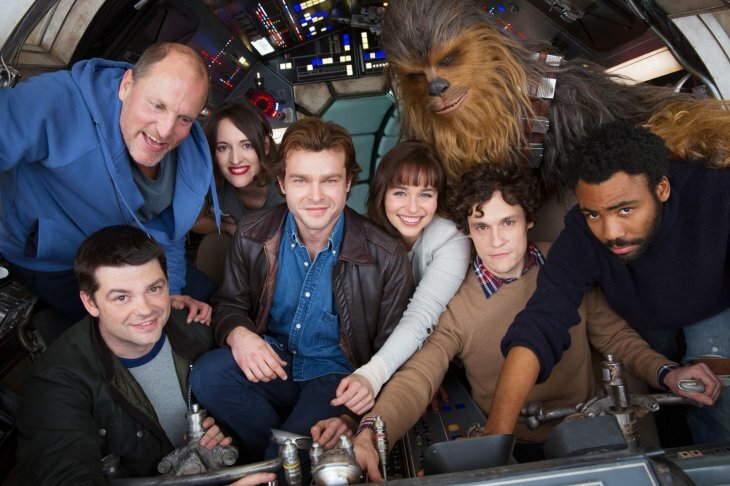 And, for me, it’s not just that Alden Ehrenreich doesn’t look/feel/seem like Han to me. It’s also that there’s no need for this film. We needed a young Obi-Wan (which Ewan McGregor delivered perfectly) to fill in the first part of the story. It was essential to the myth and message (redemption, salvation through love, etc.) Star Wars gave. it was also far enough away on the timeline that it worked. This just reeks of, “Hey, Han’s cool! Let’s make a Han movie!” I guess I have higher expectations for Star Wars stories than I do other movies. If the mythology isn’t there then I don’t want to participate. It makes me sad…but there was also a great deal of peace knowing I wasn’t going to find myself in the theatre trying to convince myself to like what I just watched (as I have for most of the Disney Canon save ‘Rogue One’).. I would agree with the sentiment around Star Wars for me having higher expectations to, I want something special when I watch a film under that banner of the brand and Solo just doesn’t look like anything really that special, although early reactions are seemingly quite positive. It maybe that I didn’t grew up on watching Han Solo but to me the very idea of a Solo solo movie doesn’t interest me, just like Rogue One never interested me. Considering they have a universe worth of characters to choose from, this feels like DC movies always returning to Batman to make money. A valid point mate! I think it is time we start to really focus on other areas of the universe which is what Rian Johnson’s new saga is I guess but I have concerns about that moving forward just because Johnson seemed to miss the point a little with The Last Jedi.